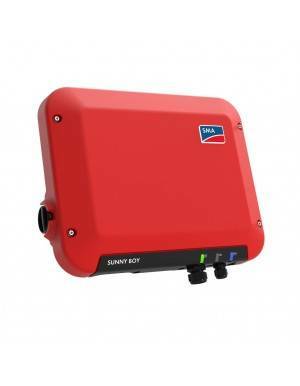 The Sun Storage 6TL has 4 modes of operation and can be used in isolated and grid connected systems, up to a maximum solar power of 10,000 Wp. 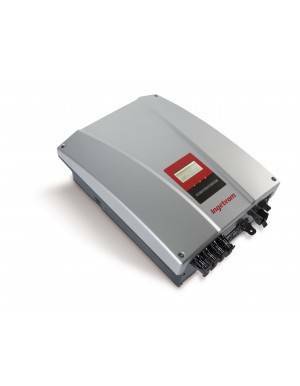 This inverter also has a technology that controls the charging and discharging of the storage system, lengthening the maximum life of the battery system. It works independently thanks to the input from photovoltaic solar panels. 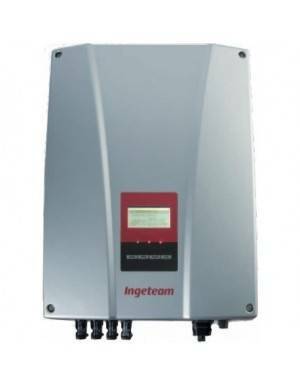 The inverter creates an independent alternating current grid. The energy generated goes directly to the loads, what can increase the battery life. And if some surpluses are produced they are stored in the battery bank and used when the generation is not sufficient. You can connect an auxiliary source that supplies only when the battery status drops below a limit. This mode is used in grid-connected systems where the grid is not very reliable. The inverter is connected to the grid and keeps the batteries charged; in case of failure this generates the internal AC grid for the house with the battery power. It can be used for peak shaving strategies, hence reducing the required contracted power. For grid connected systems intended to reduce the consumption of electricity from the utility. If generation from PV panels household exceeds demand, the surplus is stored in batteries, and always the energy of these batteries is used again instead of using the grid, so the consumption ratio is increased. If the batteries are charged, allows injection of electricity into the grid. It can also be implemented to enable peak shaving strategies aimed to reduce the contracted power and save on the fixed term of the bill. If used in conjunction with the INGECON EMS Manager it allows you to set the output value of photovoltaic power to suit the needs as required. 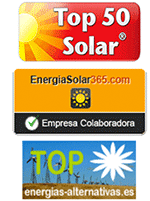 The Sun Storage can feed Ingecon household consumption directly from photovoltaic panels bypassing the batteries. In case there is surplus this can go as storage batteries for use when the generation does not cover consumption. It has a battery management system, allows you to connect an auxiliary generator, also has a photovoltaic entry, and it is 100% compatible with Ingecon Sun and Ingecon Wind. The bank of batteries voltage recommended is 72 V (for example 6 batteries in parallel 12V), but can work on battery banks voltages between 48 and 320 V.
You can use off-grid photovoltaic panels or grid connected panels, in any case they must provide at least 300 Vdc. It has two inputs, but can only use one. 3 years warranty expandable to 25 years.